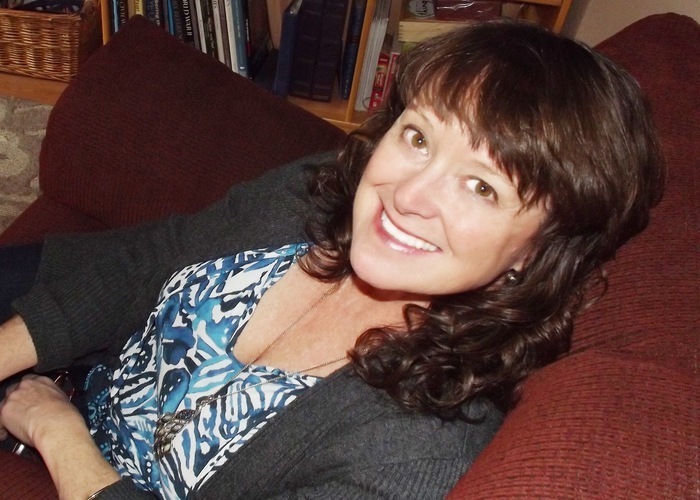 Get ready for another new author interview session, where I present you the debut historical fiction writer, Kelly Romo. She is here to talk about her debut book, Whistling Women, her life as an author and many more things. So keep reading about this amazing author. Me: Hello and welcome to my blog, Kelly. 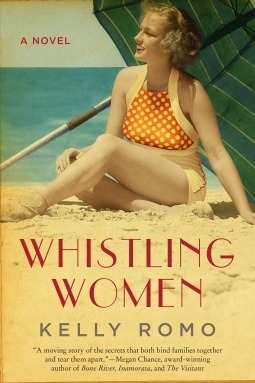 Congratulations on your new book, Whistling Women. How will you express your feelings about this book that has already won the hearts of so many readers? Kelly: Thank you Aditi. I am overwhelmed and honored to have had my book published. It is very humbling to realize that people from all over the world are reading the words that I put down on the paper--and getting to know the characters that I created and who have lived in my imagination for years. Me: What inspired you to write this story? Did you travel extensively for the purpose of research? Kelly: I grew up going to Balboa Park in San Diego, but never knew that there had been a world's fair there in 1935 and 1915. As an adult, I like to learn about the history of places. I began researching Balboa Park and found out about the fair and that there was a nudist colony where guests could pay twenty-five cents to watch them lounging in the sun or exercising. That was so unique that I couldn't pass it up. The story emerged from there. I do not live near San Diego any more, so I had to make many trips for research. I enjoyed going to San Diego and would stay there for a week or two at a time, taking walks on the beach and going into town to roam around Balboa Park or go into their research library. Me: How did you research for this book that is set in the era of 1930s? I mean, how did you capture the time frame so vividly into this story, especially the details about the World's Fair? Kelly: I spent a lot of time at the location and in the research library where I found photographs, newspapers, advertisements, and brochures. For the descriptions of a nudist colony in that time period, I found two books written in the 1930's by nudists describing their time in colonies in Europe and the limited opportunities for nudists in the United States. They also talked about the attitudes of nudists and non-nudists. The books were invaluable because they gave the perceptions of nudism by someone living at that time, rather than someone looking back with a modern perspective. Me: Tell us one trait of Addie and Rumor, that intrigues you the most. Kelly: I like the goodness in Addie--on the surface, she has committed a horrible crime and she is a nudist, but she lives such a loving and pure life. Rumor is persistent and follows what she thinks is right even in the face of adversity. Kelly: Long! It took me six to seven years to write Whistling Women, rewrite it, go back to school, and then rewrite it again. It has been a lot of work, late nights, and early mornings--but all the more rewarding because of it. Kelly: While growing up, writing a novel was always in the back of my mind, but I started seriously working at it twenty-one years ago. I think it took me so long because I actually had three true dreams: to be a mother, a teacher, and a published writer. And now, with the publication of Whistling Women, I have reached all three. Many times my writing had to take a back seat because I didn't want to sacrifice time with my children and my teaching paid the bills, but I have never stopped seeking it. Kelly: I love history--which is why I wrote a historical fiction novel. I am intrigued by how the beliefs of a society change over time and can limit or expand a person's opportunities depending on the time period, whether the person is male or female, and which race that person belongs to. I am also very passionate about my teaching. Kelly: I like to go out in my kayak and float in the river. I frequently see bald eagles, blue herons, and otters. Being out in the middle of nature replenishes me. I also like to go camping and hiking with my grown children. Kelly: My next book in set in Southern California again, but this time in Los Angeles and in Tijuana, Mexico. It is in the 1920's, during the time of prohibition, when the churches and the temperance movement pressured the government to make all intoxicating beverages illegal--and there were laws against gambling and cavorting with women. In Mexico, the government had shut down all the Catholic Churches because they didn't want the priests to influence the people. The government was killing priests and it was illegal to go to mass or worship. Each government took the opposite approach at controlling the population, but crime soared on both sides of the border. People in Southern California could just take a short drive down to Mexico and do whatever they wanted in the saloons, the racetrack, and casinos. It's a story about two young women whose lives were intertwined and how their lives were affected, not only by the difference in countries and laws, but by their race and the power and privilege of one and the poverty of the other. Me: Thanks Kelly for joining me today on this interview session. I wish you luck for all your future endeavors. Kelly: Thank you Aditi. I appreciate your review and the opportunity to have my interview on your blog.